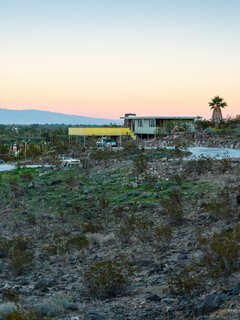 Albert Frey's Cree House is a midcentury time capsule in the middle of the Palm Springs desert. Designed by Swiss-born architect (and former Le Corbusier student) Albert Frey in 1955, the Cree House is often referred to as "The Forgotten Frey"—not because it was forgotten, but because it was privately held for years and no one got to see it. 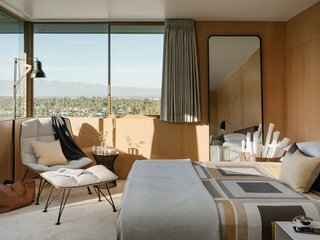 Raymond Cree, former school superintendent turned real estate developer, commissioned Frey to design the simple two-bedroom structure. 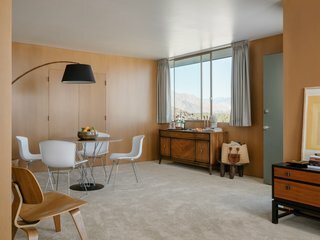 After being privately held by just a handful of owners, the Cree House—which only cost $40,000 to build—was finally revealed to the midcentury-loving public during 2019's Palm Springs Modernism Week. 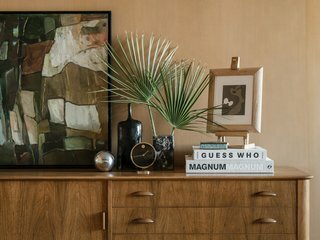 The home recently underwent a total renovation that meticulously restored all of the original building materials to nearly their original condition. 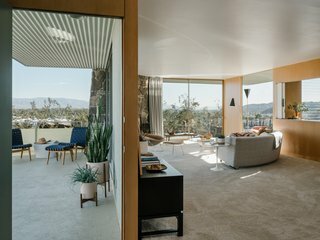 This includes the exterior and interior wall panels, fluted fiberglass deck pieces, kitchen appliances, cabinetry—and even the original glass shower door. The encelia-green asbestos cement sheet facade is a distinctive part of the home’s design. 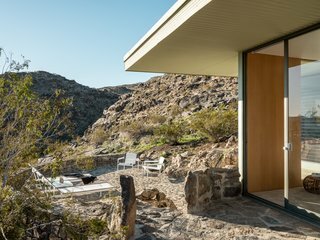 Painted encelia green—the color of desert flowers—the 1,124-square-foot, one-bedroom, one-and-a-half-bath home sits on an 8.2-acre hillside. 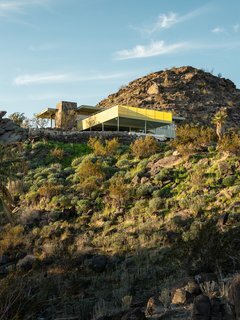 The single-story residence is supported by thin steel columns, and it appears to float over the rocky terrain. 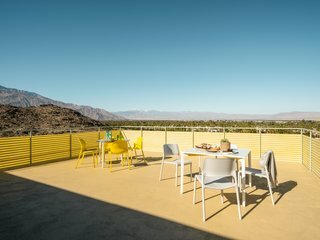 A spacious 600-square-foot deck is wrapped with bold yellow fiberglass siding. 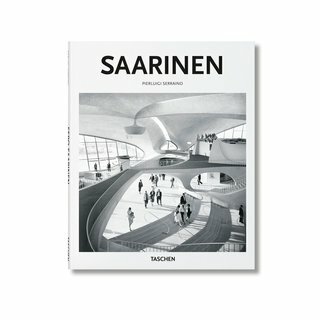 The design bears similarities to Frey’s own residence, Frey House II, and it's also perhaps the best representation of his training under Le Corbusier and his work on the iconic Villa Savoye. The Cree House as it fits into its rocky desert surroundings. The design recalls details of Villa Savoye, which Frey worked on while training under Le Corbusier. Sliding glass doors enable indoor/outdoor flow. 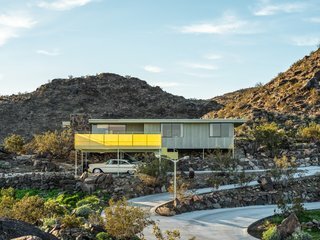 The contractor spent days restoring the yellow corrugated fiberglass panels that wrap around the deck—one of the home's avant-garde 1950s features. 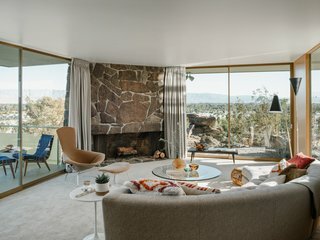 The fireplace that anchors the living space features native rock plucked from the site. This image captures the home's indoor/outdoor feel. Large, full-height windows bring a sense of the surroundings inside the home. 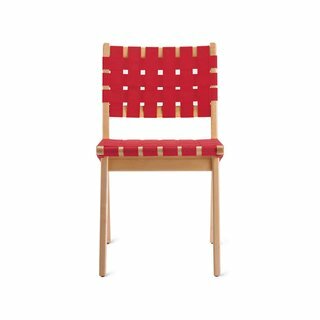 The Risom Side Chair (1943), by Danish designer Jens Risom, is testament to the simplicity and ingenuity that is so often found in timeless modern furniture. 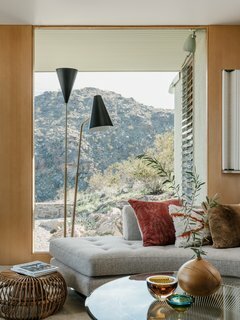 One of the first pieces commissioned by Knoll®, it brought the natural materials and understated form of Scandinavian design to large-scale U. 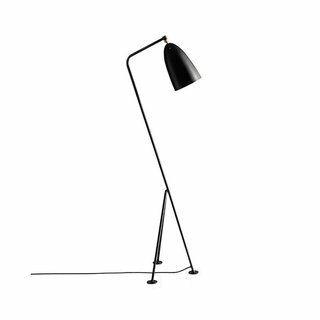 Designed by Greta Grossman, the iconic Gräshoppa series was first produced in 1947. 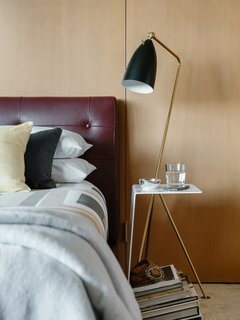 Influenced by European Modernism, the lamp balances minimalism, high function, and distinctive personality. The dining area features smooth, wood-paneled walls. 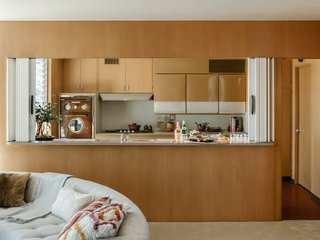 The kitchen includes the home's original appliances–like a copper-colored three-door refrigerator/freezer that resembles hanging kitchen cabinets. It also features Formica countertops and a vintage oven with circular windows. 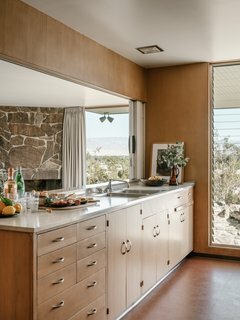 The kitchen looks out on desert views. The bedroom overlooks the valley below. The home bears some similarity to Frey's own residence, Frey House 2. The Cree House feels larger than its modest footprint thanks to expansive walls of glass and the enormous front deck and rear patio, which link the home to the outdoors.